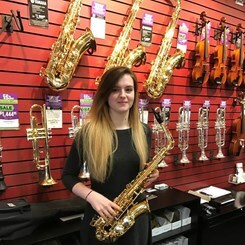 The Lawrence Park Music & Arts will be holding a woodwind clinic with D’Addario representative, Mallory Tittle, on Saturday June 10th at 1pm. RSVP with us at 610-356-4674 or stop by the store. New upgraded mouthpieces and woodwind accessories will be demoed! This is a great opportunity to try and learn about upgraded woodwind accessories. Hear the difference for yourself on Saturday! Make sure to bring your own instrument!